Volunteers are Keep Oakland Beautiful’s lifeblood! From neighborhood clean-up crews to the KOB board of directors, Oaklanders keep our programming alive and thriving. Everyone who lives, works in or visits Oakland can play a part in reducing litter and beautifying our community, so we can use any skills you’ve got! Annual events like the Great American Cleanup and Creek to Bay Day are an easy way to get involved. Check the volunteer opportunities on the City of Oakland website for city-wide events every week. If it’s a leadership role you’re after, learn more about Keep Oakland Beautiful’s board of directors and apply – we welcome you. You can also contact us directly at keepoaklandbeautiful@gmail.com for other inquiries. 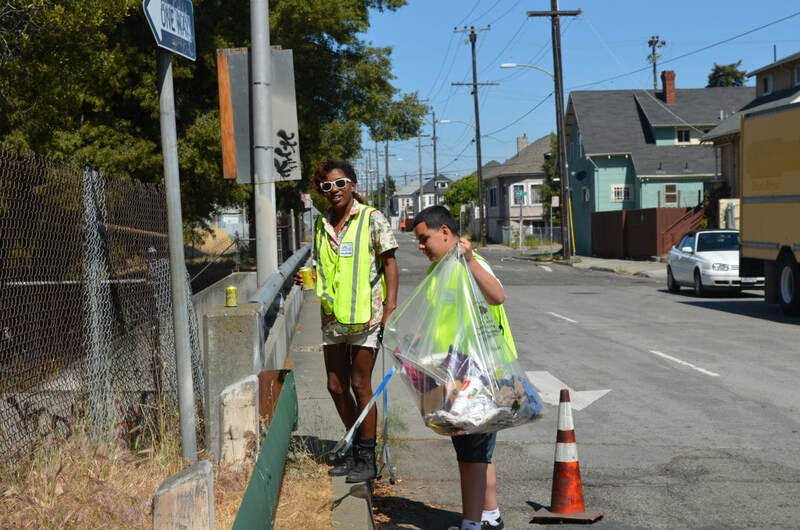 Check our events listings for upcoming volunteer opportunities with Keep Oakland Beatiful, and sign up to get event news hot off the press!